FirstBank offers innovative banking products as well as consumer and commercial lending to customers in 115 locations throughout Colorado, Arizona and California. The company has more than $14 billion in assets and continues to grow after 50 years of operations. FirstBank has expanded its focus on lending to also promote the growth of the commercial and residential communities it serves. FirstBank began using the Diligent Boards™ solution in March 2013. To run a financial services company as successful as FirstBank requires an effective board of directors. FirstBank’s board consists of up to 60 people and used to rely on unwieldy paper-based board reports to inform its executives. The bank is also governed by sub-committees including audit, risk and loan committees. Each of these groups also relied on paper reports. As FirstBank began to increase its focus on lending nearly a decade ago, its weekly loan committee gatherings quickly became a nightmare. According to Albert Kendrick, CIO at First Bank, “Of all the reports for all the different groups, the loan committee had it the worst. That particular report was a brick, with up to 800 pages of information to support decisions.” And those “bricks” had to be distributed to over 300 different loan committee members every week in various locations. Assembling that much information on a weekly basis meant that committee participants often received information on a last-minute basis, leaving no time to prepare for the actual meeting in advance. Delivering such delicate information outside the organization raised a very real security concern. Although the senior management of FirstBank originally sought out a digital solution to handle board meetings for the bank, it quickly realized that perhaps the biggest payoff would come in the more frequent, more information heavy loan committee meetings. After a decision by FirstBank’s top management, the company began to look for a digital alternative to replace the increasingly risky and cumbersome paper-based approach to provide meeting reports. The IT department looked at a number of leading solutions with security as a top concern. Another top value they were looking for was user friendliness. FirstBank sketched out a month-long transition period for moving from paper to digital and wanted their executives to quickly and readily transition to an online solution. 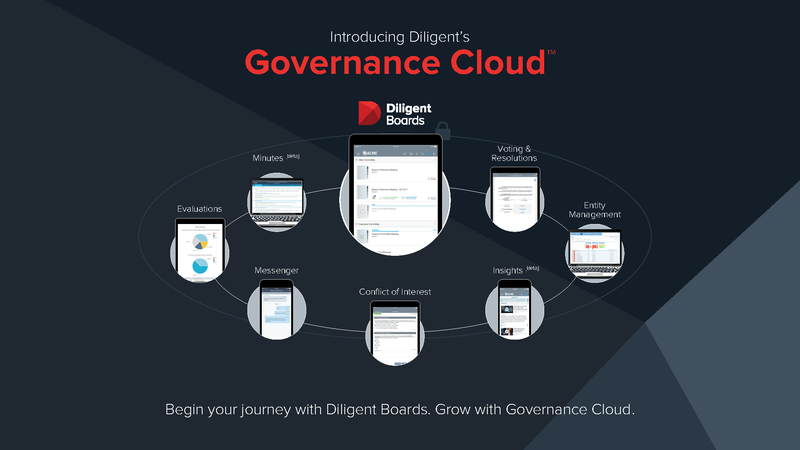 The bank chose Diligent Boards™. Given the more stringent demands of data storage for financial services companies, Diligent’s features—like redundant online hosting and geographically diverse disaster recovery systems—met FirstBank’s needs. After a single training session, FirstBank’s executive board and committees were able to use the functionality of Diligent Boards™. Today more than 300 FirstBank executives enjoy the security and ease of Diligent Boards™. Although the uptake was rapid throughout the organization, the group that appreciates the solution the most is the loan committee. Thanks to Diligent Boards™, the committee is able to better manage the growing volume of loans. Committee members receive critical information in advance of meetings, supporting improved decision making when it comes to loans and board meetings, too.